Finding your way around Wrocław can tricky on your first visit. Gain a useful overview on a morning tour, and zip between dispersed attractions with ease via e-scooter. 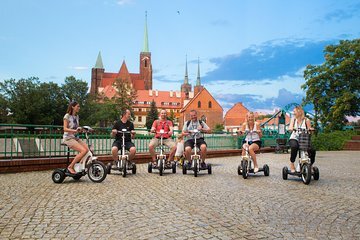 Cruise by landmarks including Grunwaldzki Bridge and Church of St. Vincent, hearing your local guide’s insights clearly with complimentary use of headsets, and benefit from the small-group tour size for a more intimate experience.